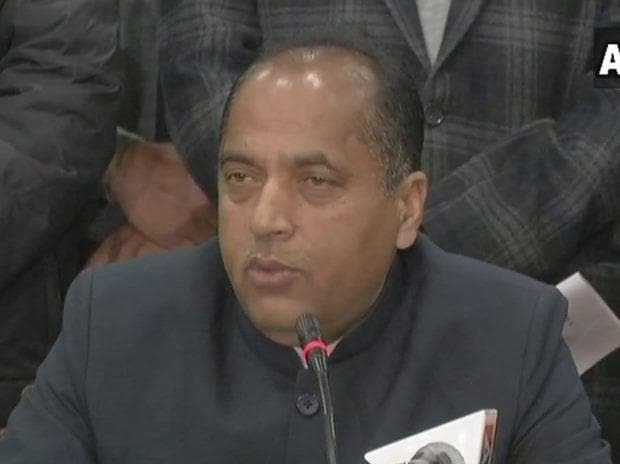 Himachal Pradesh chief minister Jairam Thakur on Thursday addressed the representatives of over 100 companies, including Apollo Hospitals, Dr Reddy's Laboratories Limited, Ramky, Greenco Energy among others in Hyderabad in the run up to the first edition of Rising Himachal Global Investors Meet 2019, to be held in the month of June. "My government is organising its maiden global investors meet in 2019 to demonstrate our commitment to promoting equitable growth across the state and making it globally competitive and a leader among Indian states. We have organised this meet to highlight Himachal Pradesh before the whole world for the first time as a place for investment and opportunities. Your active participation in the summit and the sectorial sessions would generate new ideas for development of the state," Thakur told the industrialists. Along with industrial growth, he also emphasised on his government's focus on ensuring good health and well-being of all, providing quality education among other basic services. With a host of universities, engineering and management colleges and medical colleges, the state ensures a steady supply of skilled human capital for industries, according to the chief minister. He also said that his government is aiming at skilling 100,000 youth in the next four years. The chief minister also underlined the tourism potential of the state. Addressing the audience, Himachal Pradesh industries minister Bikram Singh said they had undertaken 337 reforms under BRAP this year with 94.13 percent score. The state is now geared up to attract investors across sectors like logistics, warehousing, aroma, food processing, biotechnology, automobiles, electric vehicle manufacturing among others, according to the minister. The state government is establishing industrial parks in a land bank of 1600 acres for sectors like bulk drugs and pharma in Solan, integrated industrial townships in Una & Kangra and Textile park in Una.